• Plastic Buckets Have Always Been A Favorite Around The Farm. • The Flat Back Fits More Compactly Against A Wall Or Fence and Makes Hauling Heavy Loads Of Water Or Feed A Lot Easier. • Buckets Are Made From Polyethylene Resin That Is Impact Resistant, Protects Against Warpage and Helps Prevent Stress Cracks. Bedding fork is made of 18-gauge corrosion-resistant yellow dichromate-plated steel. Support brace to prevent the fork head from coming loose. Specially angled times provide easy manure pickup with less spillage. 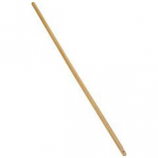 Fork head is 11.38l x 15w with 52 heavy duty hardwood handle. Made in the usa. • Scoops Are Heavy-Duty Polypropylene. Approved For Food Handling. • What Every Feed Room Needs. • Perfect For Scooping Grain. • Little Giants Duraflex Advanced Rubber Buckets Are Even More Crack-Proof, Crush-Proof, and Freeze Proof Than Plastic. • Our Design Features A Wider Opening With Convienient Stacking Ribs So The Buckets Are Easier To Pull Apart When Stacked. Durable plastic yellow handle with stainless steel points to remove any caps leftover from an uncapping knife. Fits right under the caps to pry them off and allow access to remaining honey for extraction. Simple to use. Also use to clean off uncapping knife. Made in the usa. • New Design Features Include A Wider Opening Stacking Ribs Improved Handle Eyelet Graduated Markings For Easy Measuring. • All Plastic Float Valves Flow Up To 245 Gallons-Per-Hour and Operate Between 10-70 Psi. • Popular Rugged Plastic Housing Molded From High Grade Polystyrene For Added Strength and Durability. 18 Quart Rubber Bucket With Pouring Lip. 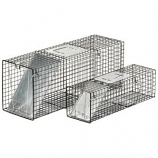 Live trap combo pack two traps in one!. Lt4 and lt2 live trap pack. Lt4 is ideal for raccoons porcupines turtles foxes and other similar sized animals. Lt2 is ideal for squirrels chipmunks rabbits muskrats mink and other similar sized animals. .
• For Farm, Ranch and Lawn & Garden Use. 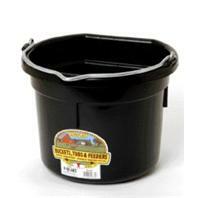 • Versatile 70 Quart Muck Tub. Handle only. 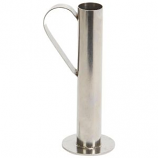 . . . .
FOR USE WITH HYDROMETER TO DETERMINE SUGAR/MOISTURE CONTENT OF SYRUP. STAINLESS STEEL. WORKS FOR HOT OR COLD SYRUP. . .
• Keep Grooming Supplies Garage Items Automotive Or Household Cleaning Supplies Organized With The Little Giant Dura Tote. • Extra-Thick Sidewalls and Compartments Make This Tote The One That Will Last A Long Time. • Complete With Four Adjustable Stainless Steel Bars That Prevent Other Horses From Eating The Feed. • 9 Quart Foal Feeder. Made of extra-strong 100 percent polycarbonate to provide super strength and flexibility. Tines are uniquely angled to provide easy manure pickup with less spilling. Measures 13.125 inch long by 15.125 inch wide.. . . 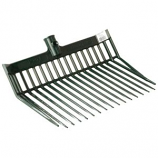 Fork head is made of 100% polycarbonate to provide super strength and flexibility. Designed for long-lasting use around the farm ranch and home. Tines are uniquely angled to provide easy manure pickup with less spilling. Actual measurement is 13.125. Made in the usa. 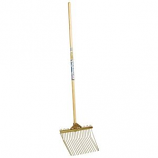 • Its Compact Size Makes It Handy For Everyday Chores Around The Barn Or At Home.